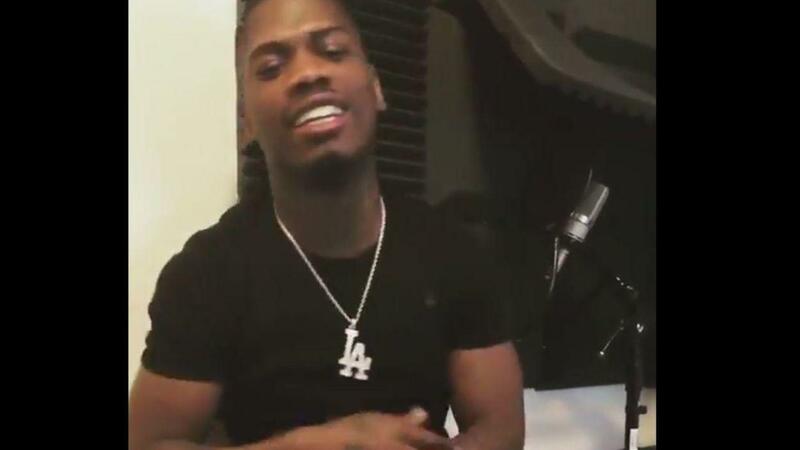 The rapper, whose real name is Dominic Grant, according to friends and family, was found with gunshot wounds in the 500 block of Normandy Ave. around 7:30 p.m. Sunday, police said. The 24-year-old was taken to the University of Maryland Shock Trauma Center and was pronounced dead soon after arriving, officials said. Grant, whose music videos garnered thousands of views online, collaborated with some of the city’s biggest names, including YBS Skola and Young Moose. On his Instagram, he posted photos with Chino, the well-known dirt-bike rider, and YoungBoy Never Broke Again, the Louisiana rapper who headlined MECU Pavilion last month. He is one of Baltimore’s latest fatalities in a recent surge of gun violence. In the past 30 days, the city has seen more than 40 homicides. Grant’s sister Ebony Palmer was struggling to grasp her brother’s death, she said through tears Tuesday. While Grant was growing up in the Edmondson Village neighborhood, music became his way of expressing himself, Palmer said. Several of Grant’s music videos were filmed in the blocks near where he grew up. One video features a group of children — who Grant’s girlfriend Jordan Frink said were mostly family members and neighborhood kids — surrounding him as he rapped. Frink said Grant had recently become involved with a church and was finding his faith in God — an experience he was determined to work into his music, she said.